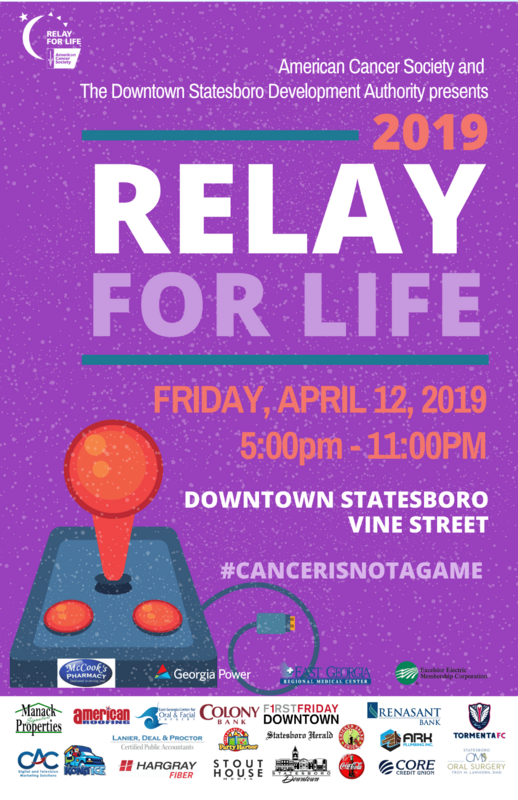 Statesboro, Ga –– On Friday, April 12th, local participants will join together at the annual Relay For Life of Bulloch County/Georgia Southern University to help beat our biggest rival – cancer. 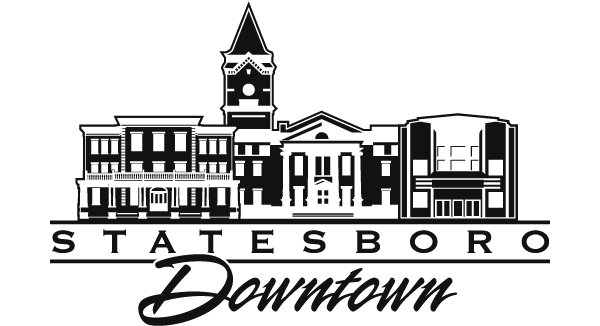 This year, the Downtown Statesboro Development Authority is excited to be hosting the fight in the downtown area. 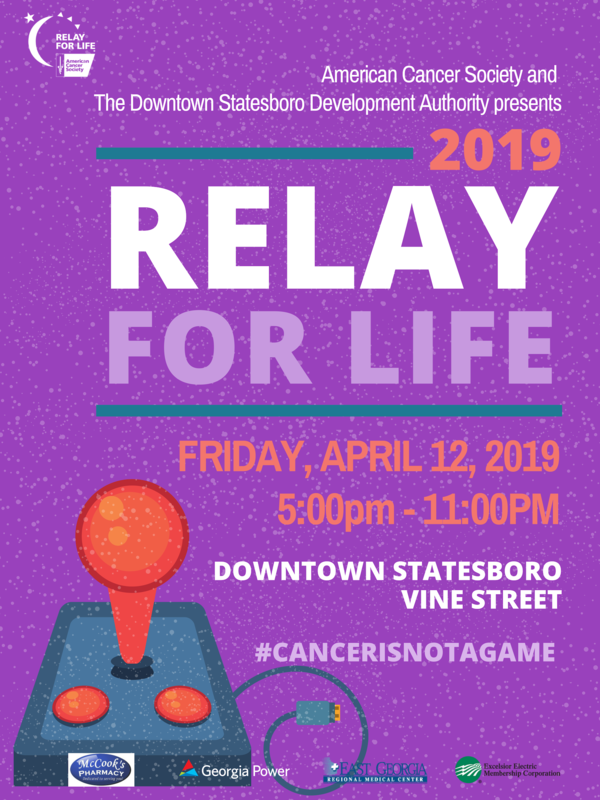 This year’s theme, Cancer is Not a Game, will bring a carnival atmosphere to the downtown area that can be enjoyed by all. The Averitt Center for the Arts will be having their big pottery sale, Bowls in the Boro at the event. The bowls are made by the Averitt Center Visual Arts team, local artists and students and are on sale for $10. Mr. Delivery will provide McAllister’s chili to fill each bowl sold. All proceeds support the Visual Arts at the Roxie Remley Center for Fine Arts. Plus all of your favorite First Friday vendors and food trucks will be in attendance, so be sure to come out and show your support. Come visit our main staging area just outside of Ag South on Vine Street. The event starts at 5 pm. What happens at a Relay for Life event? Individuals and teams set up around a path or track. Each team has at least one participant on the track at all times, symbolizing the battle waged around the clock by those facing cancer. Each participant raises money and awareness to help the American Cancer Society save lives.